Monifah Carter scored a top ten hit with Touch It in 1998. It was her only big hit but some of her other songs charted so she's not technically a one hit wonder. Before that she was known for her association with rapper Heavy D. She was born Feb. 28, 1972 in New York City. She grew up in Spanish Harlem. Her mom worked at the local church. As a teen, Monifah appeared in a couple of off-Broadway musicals before deciding to pursue a singing career in 1990. She was in a group called Rapture. Rapper Heavy D was also president of Uptown Records. When he got a Rapture demo, he was interested in Monifah as a solo act. But first he sent her out on the road as a backup singer for Maxi Priest for her to gain experience. When she returned, he signed her to a record deal. Heavy D produced a lot of Monifah's 1996 debut album Moods...Moments including the single I Miss You (Come Back Home) which was a top 20 R&B hit. For her 1998 album Mo'Hogany, she worked with Heavy D, Queen Latifah and Mario Winans. Touch It reached #9 on the Billboard Hot 100. The song was written and produced by Jack Knight who also rapped on the record. He had previously worked with Chico DeBarge and Total. Touch It sampled the 1983 Laid Back hit White Horse. 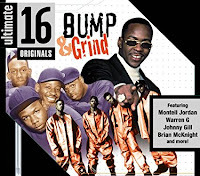 Mo'Hogany is out of print but you can get Touch It on this various artists CD. 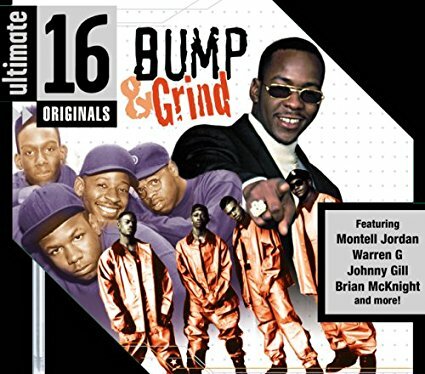 After one more unsuccessful album, that was it for Monifah. Though she has recorded occasionally, she is known mainly as one of the stars of the TV One reality series R&B Divas: Atlanta. That show ran for three seasons and it was cancelled in 2015. Her website is kaput so I think she retired to spend more time with her family. Here's the video for Touch It by Monifah featuring Jack Knight.